Get ready to position yourself to enter the medical marijuana market LEGALLY! 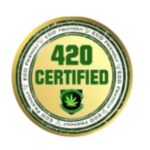 420 College is changing the way people think about medical cannabis, with the help of the experienced medical marijuana instructors and faculty, located here in California, 420 College thrives and can help you and your patient/members do the same, within the law. In today’s declining economy, we are helping people find a new career in America’s most exciting new industry, by educating them all about the medical marijuana business. Medical marijuana will not only help the current economy by providing taxpayer dollars, but create employment for thousands of people who have been laid off by their employers due to the declining economy. At 420 College, marijuana school, our goal is to give you the knowledge and tools to be successful in your medical marijuana business in California. After passing of Proposition 215 in California in 1996, California residents with valid doctor’s recommendations can use cannabis for medicinal purposes. With that comes being able to not only join a medical marijuana collective in Los Angeles and throughout, but to also form a medical marijuana dispensary business in California under Attorney General’s Guidelines. The purpose of these medical marijuana dispensary collectives and medical marijuana delivery business collectives is to facilitate transactions among qualified medical marijuana patients. How to start a medical marijuana grow operation. How to start a medical marijuana dispensary in California. How to start a medical marijuana delivery business. Objective #1: explain general State of California Requirements to start a business. Objective#2: deciding what type of business to start, compare different types of Careers. Marijuana business licenses and Seller’s Permits. Going over all medical marijuana business paperwork. What to write and what not to write on the medical marijuana business application and where to go. Non-Profit: and ” C” Corporation options. How to make money operating your Non-Profit Business. Step by Step medical marijuana business plan. Finding a position with a Collective or supporting your local cannabis organizations. How much investment is needed to start. Websites review to show how many of medical marijuana businesses are already open in your area. There are medical marijuana dispensaries in Oakland, marijuana dispensaries in San Francisco, Los Angeles, Fresno, San Jose, Sacramento, Bakersfield, Santa Cruz and all over the rest of California. With the help of one of the best marijuana schools in California, 420 College, you will be ready to open medical marijuana dispensary yourself. If you are ready to enter the fastest growing industry in America, and don’t know much about current state & local laws to open and operate your business, and don’t know where to start. The online video course “How To Start A Medical Marijuana Business” will go ever all the details step by step. Medical Marijuana Business entity set up according to state guidelines. How to make money operating the Non-Profit Collective. Which city or county in California to operate in. What type of licensing do you need to open a marijuana dispensary, delivery service, or grow operation? Who you can and can’t dispense medicine too? What documentation is required from patients? How to verify medical marijuana patients before dispensing medicine? Where do you find the information you need to get started the right way? By getting the online video course, you will save money on traveling, hotel rooms, gas, food, and airplane tickets, that’s at least $2,500 that you can put towards your family expenses. Now you can be at home watching these videos and learning exactly what it takes to start a medical marijuana business and a grow operation without leaving the comfort of your home office or couch. So before you spend a dime on traveling or booking hotels or sitting in a class room with 100 other students, invest in obtaining the online video course to get the answers you need to know in the comfort of your home and on your schedule before you open and operate your medical marijuana business. 420 College marijuana school is dedicated to providing you with the most up to date information about the latest developments in California medical marijuana law, as well as providing the California State Attorney General guidelines compliant documentation and all information needed to effectively operate in every aspect of the medical marijuana industry. The online video course doesn’t just present you with general information, it answers all the questions YOU have about YOUR business. At the end of the video course, we will provide you with information about lawyers, vendors, collectives, accountants, consultants, real estate agents and web designers and anyone we feel will help you move your project forward. Also,our staff will be standing by to answer all of your questions about your specific concerns. You can expect the answers to those and all of your questions in the online video course. We will tell you where to go, what forms to fill out and in some cases, even who to talk to to get your business up and running. As an added bonus, our contact information will be provided to you after your purchase, so if you have any questions after watching the video course, you may contact us with your concerns. Since I know it’s 100% to your benefit to act right away, I want to sweeten the pot and give you every possible reason to say YES! YES! YES today! dedication and budget and location. If you hired a marijuana attorney for consultation, you would pay $500 to $2,500 just for the consultation meeting. Online video courses on “How To Start A Medical Marijuana Business” prepared by instructions from attorneys who have given courses at the 420 College marijuana school’s live seminars. Our consultants specialize in California medical marijuana business guidelines and have guided hundreds of people to open marijuana businesses, that is a minimum $2,500 value that you get with your one time payment of $150.00. This is a terrific opportunity for anyone who is interested in starting a legitimate business in the medical marijuana industry in California and cash in on this new “Gold Rush”. Look at it this way — $150.00 is really a painless drop in the bucket to be able to get your hands on the knowledge that will allow you start what could be a multi million dollar company. Get the “How To Start A Medical Marijuana Business” video course and start using it right away to start a dispensary and improve your lifestyle! Come join us and become a part of this hidden industry. There are medical cannabis dispensaries, marijuana delivery services and non-profit collectives all over California providing patient care everyday, get educated and get the know-how of the business from people who are in business, and start your OWN Business! Are you ready to get your piece of the medical marijuana industry pie? Don’t hesitate, get the knowledge and the tools you need to succeed in the medical marijuana industry, today!!! ALL LOCAL ordinances, program guidelines, rules & restrictions. Marijuana remains illegal under federal laws. The video series is based on Proposition 215 in California, SB 420 and California Attorney General Guidelines (August 2008) ONLY. Not following California state and local regulations will have criminal and civil penalties. 420 College does not promote illegal sales or use of marijuana. That is why we strongly urge you to take our seminars to get the latest in developments and laws concerning medical marijuana and cannabis industry. Please check with your state and county for your local laws regulations. ” How To Start A Medical Marijuana Business”? 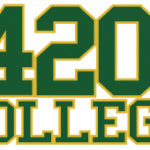 420 COLLEGE ONLINE COURSE WARE AND EVENTS!